We provide a broad range of Threaded Bars, which is extensively used in fence fittings and tractor components. These are manufactured from quality-tested material as per the international standards and norms. 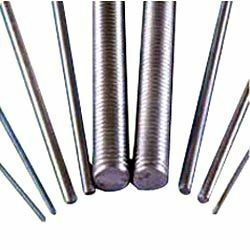 Our range of threaded bars is also known for its dimensional accuracy and corrosion resistance. We are an ISO 9001-2008 certified manufacturers and suppliers Industrial Fasteners and Precision Engineered Fasteners. Our quality range finds application in Automobile, Construction, Engineering Power and Electronic telecon Industries.